We got a real shock yesterday when we saw a tweet from @mymummyreviews saying that she has a little gift for us. Intrigued we click the link she gave us in her tweet and saw this amazing review! What makes it even more flattering is that our Beach Huts aren’t even open yet, she just loves the idea this much. Kim’s My Mummy Reviews blog is just a click away. 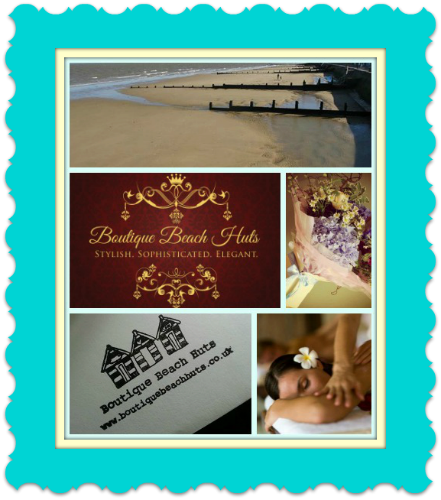 I have just seen a company on twitter that do the most amazing thing….they rent out their boutique beach huts in Walton on the Naze, Essex …..by the day! I had no idea that this was possible and I think it sounds like a fantastic idea. Who wouldn’t love to sit and look out over the sea from the comfort of a luxury beach hut?! I think everyone would love the opportunity to take a day to just relax and enjoy the sea air and the sound of the seagulls. The beach would be just metres away…waiting for you to take those flip-flops off and go and wriggle your toes in the sand and the ice cream shop is sure to be close by! Wish I could be there now! At the moment you have the opportunity to pre-book a day at one of the beach huts and the price is currently £38. This is a special offer though and only available for a limited time. You can see all the available dates you could book by browsing this calendar. Maybe there is a special occasion coming up in the summer and you want to spend the day at the beach with your family? Now is the time to book while there are dates still available. What a lovely treat it would be to wile away the day in a boutique beach hut. You can also pay extra and have a bouquet of flowers left for you in the beach hut ready for your arrival and you can even pay to have a massage. You can find out more about the luxurious extras by clicking here.